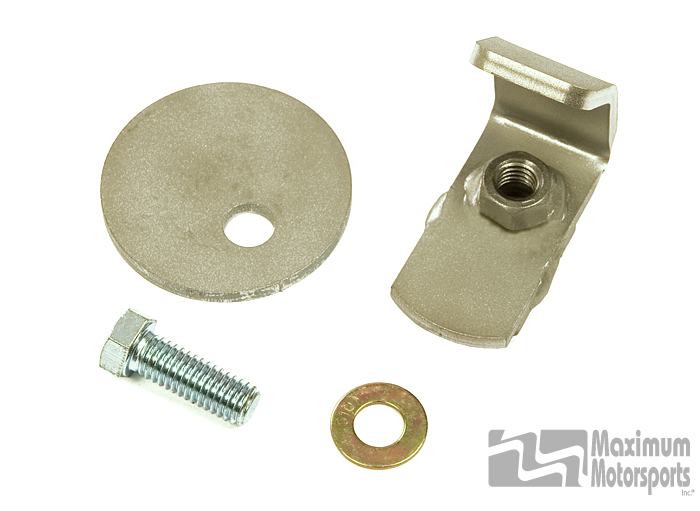 This MM tool is invaluable when installing lowering springs on the front of your Mustang. This tool bolts to the front control arm, and guides the bottom coil of the spring into its proper position on the control arm as it is swung into place with a floor jack. The tool is then easily dismounted from the control arm and removed through the access hole in the arm. The often-frustrating task of spring installation is made quick and easy with this Maximum Motorsports tool. Watch the video-- Click on the video tab above to see this tool in use. Works with stock front control arms of 1979-2004 Mustang, 1993-2004 Cobra, and 1983-1988 Thunderbird. Will NOT work with 1984-1986 SVO Mustang front control arms. Will NOT install stock Mustang springs because of their long free length. An internal spring compressor is required to install stock springs.